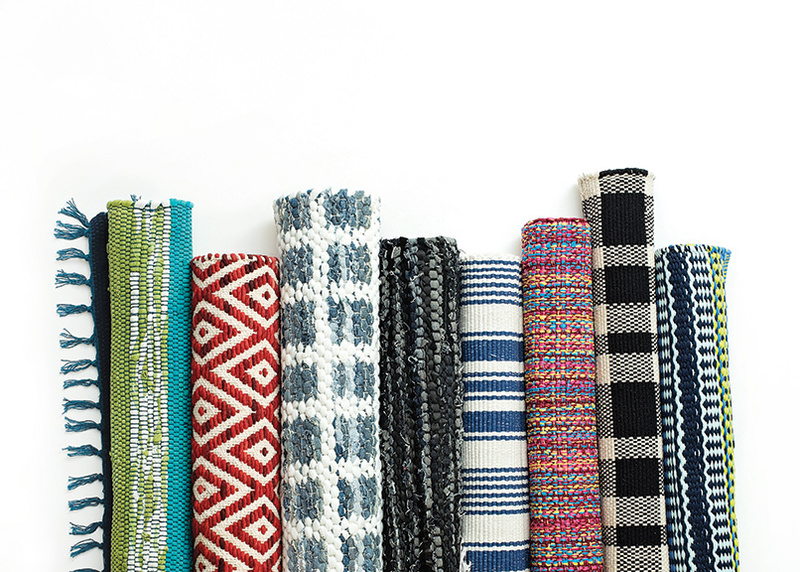 Lightweight cotton rugs are perfect for summer. one: Fiesta stripe french blue/green, by Dash & Albert, available at Mary Tuttle's. two: Tattersall, by Dash & Albert, available at The White Rabbit. three: Coco red, by Dash & Albert, available at Mary Tuttle's. four: Coconut, available at Volume Carpet. five: Handwoven leather rug, available at Christopher's. six: Denim rag squares, by Dash & Albert, available at The White Rabbit. seven: Mojave red, available at Volume Carpet. eight: Tinicum rug, available at Christopher's.